Choose the product information tab above to go to the info page about The Book of Mormon Geography evidences, lands, & map. 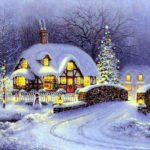 LDS Christian church choir sheet music, hymn arrangements, sacred, and secular chorus sheet music, choral music with orchestra or band, solo piano songs, patriotic, Christmas, Easter, & Thanksgiving music, find it all here. Use the list to the right to choose what choir sheet music you would like, simple or difficult, music for all occasions. NEW MUSIC and books are added all the time by various composers and authors, check back frequently. Get more information about what is on this site by clicking on the product information button on the top of the page. 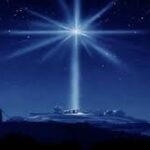 FREE LDS Christian choir sheet music, and hymn arrangements are at this site. ALSO all of the MUSIC on this site has correct voicing and notation, edited correctly, with proper pagination and notational grammar, and spaced properly so you can read and learn the music more quickly and easier. Real sound fonts are used so you can hear the music more realistically. Some of the music is from live concerts. We also correctly edit, notate, voice, arrange, and or publish your music. These services are offered from www.OrchestraComposer.com. Over 900 selections from which to choose. We use the label or copyright sticker method. Download a song and make as many copies as you want. After you have made your copies and have decided to use it, come back and add that many to your cart and checkout/pay for it. Copyright stickers (labels) will be mailed out to make it LEGAL! If you just want one copy to try out and look over with your pianist there is no charge, just download it. unison and or two part choir. Complete music editing from pagination and music grammar to correct notation and placement of all other items is available. We can produce recordings from live orchestras to professional synthesizer soundfonts upon request. FREE LDS christian choir Sheet Music and hymn arrangements are here. FREE LDS Christian choir sheet music, piano and solo voice music is available. Sacred and secular chorus sheet music, hymn arrangements, and choral music are here. 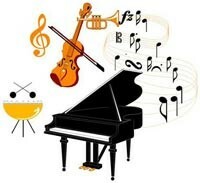 We have orchestra or band, solo piano songs, patriotic, Christmas, Easter, & Thanksgiving music. The Book of Mormon oratorio and pageant music, “The Messiah, Another Testament“, is all downloadable for quick music retrieval. Book of Mormon oratorio; Music for SATB, 2 part choir, unison choir, and solo with piano is here at LDS Music and Books. New music and arrangements in any key you want. Several composer’s works are at this site including music by LDS composer Peter Covino, Jr. Here at Alpha Publishing Christian, Catholic, and other sacred and secular choir music is available. All solo and duet music may be used for unison and two part choir. We can produce recordings from live orchestras to professional synthesizer sound fonts. The Book of Mormon oratorio and geography land, maps, and evidence are also at this site.